The sub-brand of ZTE – Nubia, recently was in the news for launching its latest smartphone the Nubia N3. Shortly following that, the company decided to make a new development in the series by introducing yet another smartphone, the Nubia V18. The 18:9 aspect ratio smartphone runs on the Snapdragon 625 SoC and 4GB of RAM and has a 6.01-inch display. 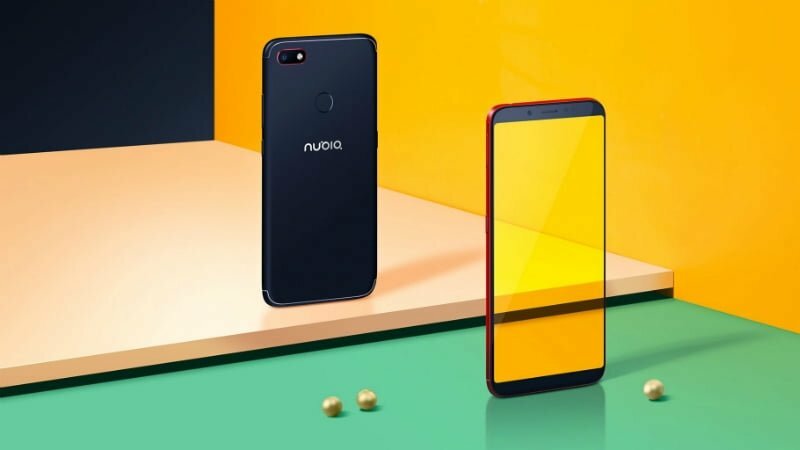 Although, the Nubia V18 lacks on the camera front as it doesn’t have a dual camera setup but the company ships the phone with its own Maverick Voice Assistant and also the much-expected face and fingerprint unlock sensors. The colour variants available for this new phone are Stone Black, Space Gold and Nebula Red. The price tag of the phone comes to be at CNY 1,299 translating roughly to Rs 13,400. The pre-orders for the newly launched phone start on Thursday, and the sales start on March 29 in China. 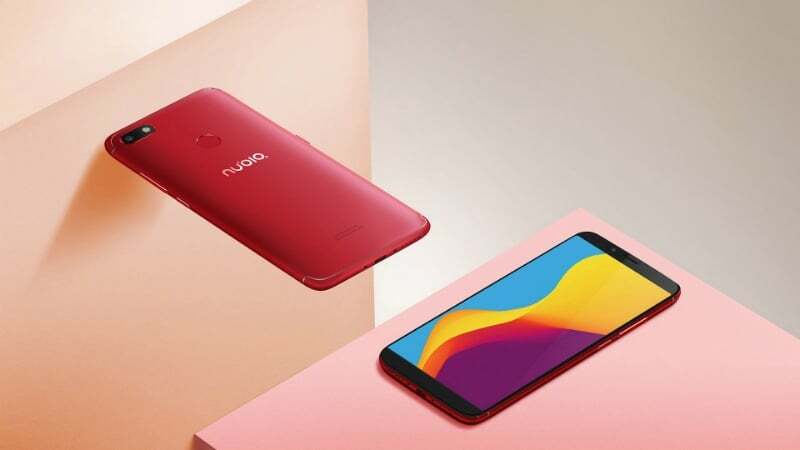 The Nubia V18 fashions an attractive 6.01-inch full HD+ display with an 18:9 aspect ratio and 1080×2160 pixel resolution. It also has dual nano-SIM card slots and is powered by the Snapdragon 625 Soc which is clocked at 2.0GHz and also an Adreno 506 GPU to support the graphics. The RAM on this device is 4GB, and the phone runs on Nubia UI 5.1 which is a UI based on top of Android Nougat. On the rear camera side, we get to notice a 13MP shooter with a f/2.2 aperture with PDAF while on the front side the Nubia V18 offers an 8MP shooter with f/2.0 aperture for selfie purposes. One drawback which the customers might point out is the availability of only one variant in terms of internal storage – 64GB, however, the phones does offer a microSD card slot which can be used to expand the memory to up to 128GB. The device also shines in the power department by offering an enormous battery of 4,000mAh. The phone is also equipped with all necessary sensors like accelerometer, compass, ambient light sensor, and proximity sensor and also offers a wide range of connectivity options like 4G VoLTE, Wi-Fi 802.11 b/g/n, Bluetooth 4.1 LE, GPS, and GLONASS. While talking about dimensions we get to see that the phone has pretty thin form factor even though it houses a heavy battery, with the sides measuring to 158.7×75.5×7.75mm the device manages to weight 170 grams. It will have Nougat with the same month security patch till the end. Worst UI I have ever used. So don’t buy Nubia.